Iowa Medicare Supplement Plans are also known as Medigap Insurance. Learn about the basics of Medicare, Medicare supplement plans, quotes, and which insurance company offers plans in your area. 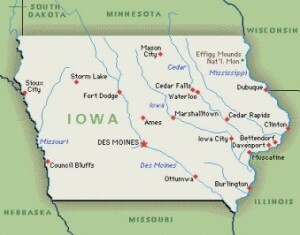 See which Iowa Medigap plan has the best coverage and find the companies with the most affordable prices. It’s not uncommon to be under-insured and paying more than someone with comprehensive coverage. Start with the basics to prepare yourself for Medicare and get the best supplemental insurance at the lowest cost. Medicare Part A is usually automatically given to individuals when they turn 65, worked and paid taxes, and are U.S. citizens. Part A helps cover hospitalization, skilled nursing facility care, home health care, hospice care, and blood. Part A has you pay deductibles and co-pays. We refer to these as the “Gaps” of Medicare. Medicare Part B has a standard premium of $134.00 a month. This amount, for most people, is automatically deducted from your monthly Social Security check. Part B covers medical expenses, outpatient hospital treatment, laboratory, home healthcare, durable medical equipment, blood, etc.. The gaps of Part B include a deductible, coinsurance, and co-pays. Medicare Part D is prescription drug coverage. It’s offered by approved private insurance companies. To view prescription drug coverage in Iowa, go to the Medicare website. Plans aren’t the same in every service area. Give us a call for more information. Medicare Part C is an advantage plan. This is coverage that pays instead of original Medicare. You cannot have an Iowa Medigap Plan and Part C at the same time. There are 10 standardized Iowa Medicare Supplement insurance policies available that are identified by the letters A, B, C, D, F, G, K, L, M, and N. These supplemental insurance plans are offered by private insurance companies. Contact an Iowa Medicare Supplement Insurance Specialist. Which Iowa Medigap Plan has the best supplemental coverage? From experience, the most popular policy seniors purchase in Iowa is the Medigap Plan F. Plan F is considered by many as “the best supplemental coverage.” It provides the most comprehensive benefits to help fill the gaps of Medicare. What one person may think is the best Medigap plan, the next person may think otherwise. Each individual has different health insurance needs. Learning about the plans will help you find which Iowa Medigap plan is the best for you. 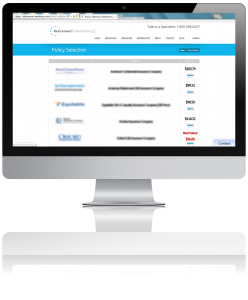 Depending on which policy you’re purchasing, makes a big difference on the price you pay. Medicare Supplement Plan A has the least amount of benefits, but costs less than the popular Plan F. The more coverage the plan provides, usually the more expensive it costs. We’ve seen people on lower coverage plans than “F” actually pay more for their policy. This is not uncommon. We find that individuals aren’t shown all their options and didn’t shop around for multiple Medicare supplement rates. The problem is that Plan F is changing in 2020. People can change their Medicare Supplemental Plan in Iowa anytime during the year. The best Medicare Supplement Plan in Iowa to purchase is Medigap Plan G. Medicare Plan G coverage is similar to Plan F. The only difference is the Medicare Part B deductible. The 2017 annual deductible is only $183. Once the deductible is met, Medicare Supplemental Plan G in Iowa equals Plan F. It’s an easy way to save money and have excellent supplemental coverage. We talked about how Medigap Plans in Iowa are standardized, that means that there’s no difference in coverage levels between insurance companies. For the exact same coverage, comparing Iowa supplemental insurance companies rates is the best way to get the most out of Medicare. Find Medicare Supplement prices in Iowa by giving us a call or using our Medigap quote engine. Get comprehensive insurance coverage at the most affordable price by comparing rates online. Getting Medigap prices from multiple supplemental insurance companies isn’t difficult. Within 5 minutes, you can receive quotes from top supplement insurance carriers. Compare Medicare Quotes Online: We have a safe, secure, and private Medigap plan G quote engine that allows you to easily access rates from top insurance companies. Enter your information and instantly see your personal prices. We promise you won’t be called multiple times and your information is kept safe and secure. Contact one of our licensed Iowa Medigap Insurance Agents. 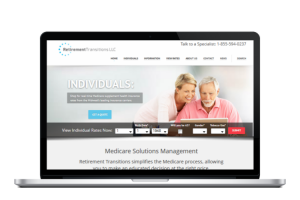 Call Us: Speak to an unbiased licensed Medicare insurance specialist. No waiting on hold like most insurance companies make you do. We have a strict no-nuisance policy, so you don’t have to worry about being pushed into any plan or conversation you’re not interested in. By Mail: By calling our toll-free phone number or Email Me and we will mail your personal Iowa Medicare Supplement rates from over 20 companies!